This month’s guest blog is by teacher Deborah Nelson, who was kind enough to give us (and you!) an example of how she uses Skoog in a lesson. Take it away Deborah! ‘During the summer I taught at our summer school, and on top of the music curriculum I am required to teach to a theme – this year it was about the sea. Each week I did a different aspect, like the creatures, jobs, work songs, and ecology. I teach a large number of non-verbal students with autism so I work a lot with identifying and expressing emotions through music. As part of ecology I found a video of a whale that was all tangled in a huge fishing net with weights that was pulling it down so it couldn’t move and had difficulty staying up enough to breath (the video ended with a group of people saving the whale, don’t worry). I paired that with another video of a whale ‘singing’ next to a boat and slowly spinning around showing both its top and bottom sides. I then took a sample of the whale’s song in GarageBand on my iPad and put it into a pentatonic scale to allow the students to virtually “sing” like a whale with the Skoog. I’m eager to see in the future if my students can pair higher, faster sounds with expressing happiness and slower, lower sounds with expressing sadness. My students and staff love Skoog and it has engaged students who have been reluctant to independently participate before in class. Deborah’s lesson plan is a great example of how Skoog can be used in ways that aren’t simply musical, but also teach the children about other things like expression! To read more examples of lesson plans, check out our Education page. 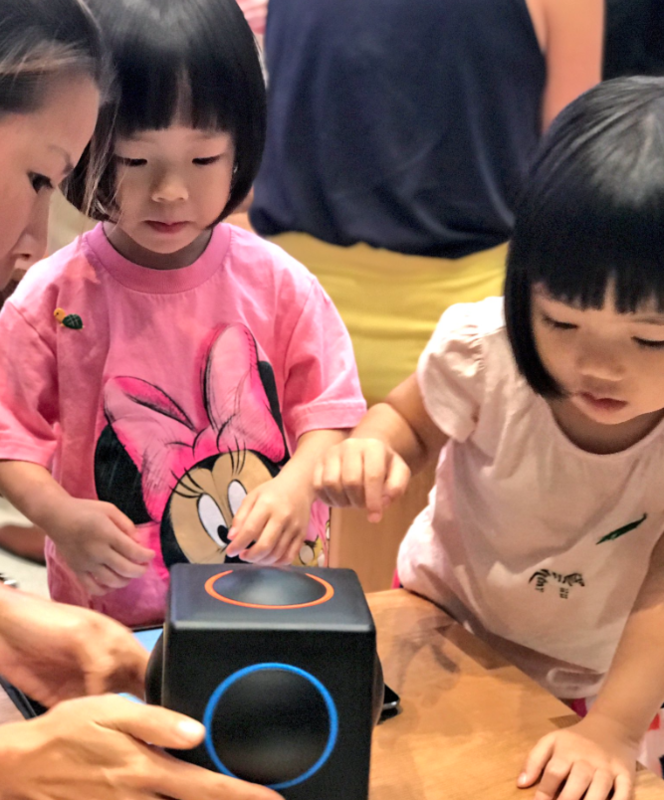 If you fancy getting your hands on a Skoog 2.0 to use in your classroom, head over to the Apple store and book your FREE Apple Field Trip today!